Flathead Lake is the United States’ largest fresh-water lake west of the Mississippi, as well as being one of the least polluted. For the last 15 years the Confederated Salish and Kootenai Tribes have been negotiating an agreement with the United States and Montana governments to permanently codify the exact details of who has water rights to Flathead Lake and its drainage, as well as regulate other dam and irrigation projects around the Flathead Indian Reservation. The agreement, commonly known as the Flathead Water Compact, has been approved by the state senate and is now facing debate in the state House of Representatives, after which it requires approval from the Tribes and the US Congress if it is to be ratified. 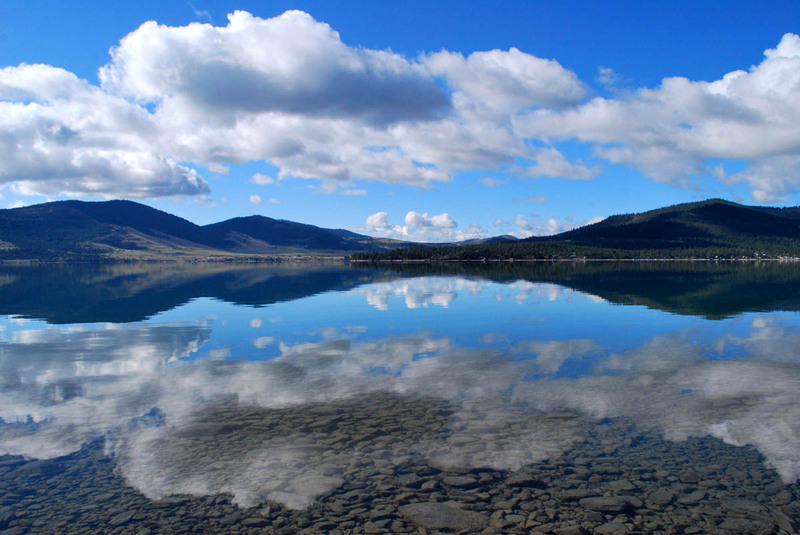 Understanding of some of the finer points of the Flathead Water Compact can be a complicated issue, indeed its complexity was one of the initial arguments against its approval in the State Senate. It has been negotiated between the tribes and government water regulators over the last decade, and came before the Senate as a simple yes or no vote, without the Senate being enabled to propose amendments, in which regard it is fairly irregular. 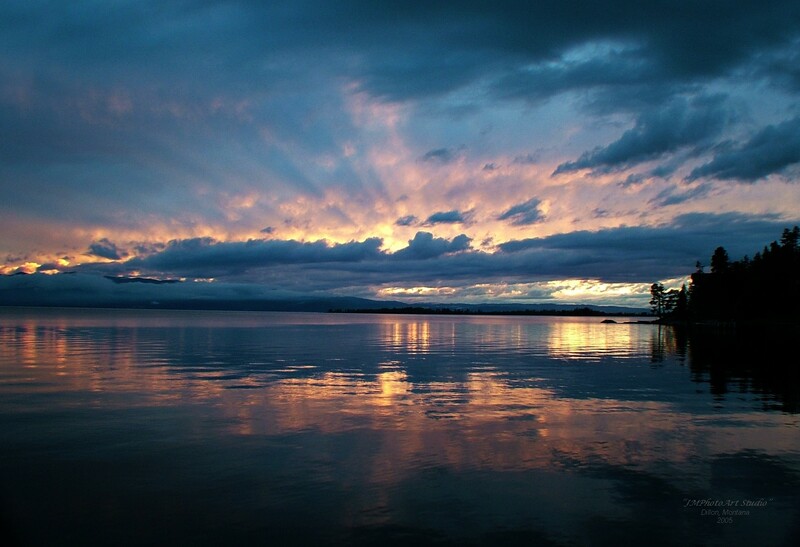 At its core, the Flathead Water Compact finalizes a compromise agreement to the water rights awarded to the tribes in the 1855 treaty that established the Flathead Indian Reservation. The compact allows the tribes control of “in stream flow” rights on the Flathead drainage, which essentially means that the tribes are allowed to dictate the amount of water that must be left in rivers and streams of the Flathead drainage, primarily for the purposes of fishing and maintaining fish hatcheries. The tribes also can limit amounts of water taken from downstream sources off the reservation if the extraction of water would have an impact upstream on tribal territory. Opponents of the bill argue that this in stream flow control would give the tribes too much power and that irrigation projects depending on water from Flathead Lake could be jeopardized, hurting local business and agriculture. However, supporters of the compact point out that without the compact to regulate control, that the Tribes could still secure the same water rights, and potentially much more through litigation in the courts, arguing for all the rights officially awarded to them in the 1855 treaty. Another issue at the heart of opposition to the Flathead Water compact is the agreement’s hefty fifty-five million dollar price tag. This expense represents the cost of upgrading outdated and inefficient irrigation infrastructure across the Flathead drainage area. In a guest article published in The Missoulian, former republican gubernatorial candidate Rick Hill argues that this $55 million dollar expense is a metaphorical drop in the bucket compared to the cost of litigation should the compact fail to pass. Hill estimates that the costs of litigating the hundreds or thousands of claims covered by the compact in court would easily reach into the hundreds of millions, and that the cost of adjudicating the 36 different drainage areas covered by the compact would be as high as $70 million. One further observation made by Hill is that these costs wouldn’t be paid by the state from the state’s general budget, but would instead fall on the individual water users who would be required to pay legal fees to argue against the tribes in court for their historic use of Flathead water, which is protected in the compact. This and other statements of support by prominent state republicans brings to light another complex issue about the Flathead Water Compact, that issue being the difficulty of determining exactly who supports and who opposes he compact. The state senate bill to approve the compact was introduced by a republican senator, and received the support of republican Attorney General Tim Fox, and democratic governor Steve Bullock (as well as Rick Hill, Bullock’s republican opponent in the last election). It was approved in the senate by 8 of the senate’s 29 republicans, and 20 of the 21 democrats. So support for the Flathead Water Compact is an impressively bi-partisan issue. In any sane democracy, support across both parties based on the facts of the issue and the good of the people wouldn’t be surprising or unusual, but given the current political climate in state and federal government, the inability to predict an official’s position on an issue based on the (D) or (R) next to their name raises eyebrows. Even outside of the legislature, predicting what groups support and oppose the agreement is difficult, with many irrigators on both sides of the issue, as well as outspoken tribal members representing a vocal minority in opposition. A look deeper into opposition to the compact only muddies the waters further. Over the last few years, a number of private organizations and political action committees have sprung up across the state in support of or in opposition to the long-debated agreement. With such names as “Concerned Citizens of Western Montana”, “Western Montana Water User’s Association” or “The Senior Water Rights Coalition” it can be difficult or impossible to determine at face value exactly who and what these groups represent. For instance, “Concerned Citizens of Western Montana” who represents the most outspoken private opposition to the compact turns out to be the brain-child of prominent Ronan businessman and former state representative Rick Jore. Jore’s family business, The Jore Corporation, got its start producing and selling cutthroat trout eggs to private stream owners as well as Fish Wildlife and Parks department hatcheries across the Western United States. Jore’s influence has since spread to the point where his name can be found on now-defunct companies across the Flathead area with such diverse functions as: construction, medical technology, bankruptcy services, tool and bullet manufacturing and more. At one time, the Jore Corporation was the single largest employer in Lake County, before filing for bankruptcy and appearing again a few years later in state ledgers as a technically new but still family owned incarnation. Jore’s tenure in the state House of Representatives also established him as belonging to the extreme right of the extreme right in state politics. In fact, after failing to gain re-election in 2004 (the vote was an exact tie and the election was awarded to his opponent by the State Supreme Court), he then ran again in 2006 as a third party candidate. His successful third party campaign shocked many around the state, and made him the first official from the national Constitution Party elected to a statewide office. The Constitution Party is an extreme right-wing party founded heavily on anti-abortion principles, and has widely been regarded as a predecessor to the Tea Party. Indeed, both “Concerned Citizens of Western Montana” and the “Western Montana Water Rights Association” have been identified as Tea Party lobbying groups, both of whom have managed to exploit a loophole in state campaign finance laws that states that groups representing citizen water rights are not required to report their campaign contributions or reveal their donors. Of these two tea-party dark money groups, the “Western Montana Water User’s Association” seems to be the more scandal-prone. The leader of the group is Steve Kilhorn, a convicted felon, who was convicted of “tampering with public records”. Another prominent figure in the Western Montana Water User’s Association is Kate Vandemoer, a self-proclaimed expert on water rights who has been the author of a prominent blog denying President Obama’s American birth, as well as calling for the overthrow of his administration in 2009 in the so-called “Usurpathon”. Concerned Citizens of Western Montana has not been without its fair share of scandals in recent months either. Particularly embarrassing among these scandals was a recent accidental inclusion in an email to state legislators of a discussion between “Concerned Citizens” founder Terry Backs and the above-mentioned Kate Vandemoer about how emails to these legislators should be written, and whether emails on the groups’ positions should even be included to Senator Bruce Tudvedt and Representative Dan Salomon, both republicans who vocally supported the Flathead Water Compact. 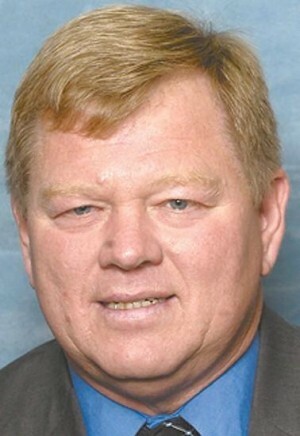 In the final Email to legislators outlining the groups’ objections to the agreement, Terry Backs mistakenly included an email string of an exchange between himself and Vandemoer speculating about the possibility of keeping the two prominent legislators out of the loop. Another key group in opposition to the Flathead Water Compact is the Flathead Joint Board of Control. Unlike the aforementioned citizen lobbying groups, the Flathead Joint Board of control is a group of elected officials who regulate irrigation rights in Flathead County. The board recently released a privately-commissioned study which stated that irrigators will receive substantially less water under the proposed Water Compact than is necessary to sustain agriculture for farms on the project. However, this study was found to have been commissioned in secret by newly-elected chairman Jerry Laskody and three other members of the board in opposition to the Compact. Laskody, who ousted the previous long-sitting chairman of the Flathead Joint Board of Control thanks in large part to contributions from Tea Party groups like “Concerned Citizens of Western Montana”, said that he felt the study was essential to get the information they needed, and that secrecy was critical. The four board members had planned to pay for the report from their own private funds, and upon presenting it to the board would then ask for reimbursement, however, after the report was commissioned, the cost for it quietly showed up on the general expenditure budget for the board, meaning that the anti-compact study commissioned in secret had been paid for with taxpayer funds. An interesting side-note to the Flathead Joint Board of Control and their influence on water policy across the state, is that a search of public contributions to political campaigns across Montana on followthemoney.org, shows that the Flathead Joint Board of Control is in fact the fourth largest single donor of publicly recorded funds in the state, having contributed $15000 to political campaigns state-wide. This figure is confirmed by the official state election commission report found at politicalpractices.mt.gov. As mentioned previously, Concerned Citizens and Western Montana Water User’s Association do not have to reveal their political donations, but their contribution is speculated to be much larger. Laskody and other right-wing members of the Flathead Joint Board of Control also made headlines when they were recorded on the board’s official meeting recording system making racist statements against Native Americans. During a meeting, board member Boone Cole said of Native Americans “Well, they’re not Americans, first [of all]”, to which chairman Jerry Laskody responded “Well they are the first Americans right?” soliciting a chorus of groans and laughter from the assembled board members. Laskody went on to say that they have all the benefits of living in the United States but that they “don’t pay for the roads in the county” and are “not really a government”. Racism against the tribes has been a common charge of compact supporters against those groups who oppose it, and “Concerned Citizens of Western Montana” and “The Western Montana Water User’s Association” have been no exception. Both groups have been widely accused of distributing racist flyers, and several prominent members of both groups have been tied to white-supremacist organizations. State legislators however are quick to dismiss racism as a real factor in public or private groups’ opposition to the compact. As of today the Flathead Water compact has been approved by the State Senate, and is awaiting approval by the state house of representatives, where its fate is uncertain. Should it pass both houses of the state legislature, it still requires approval from the Tribes and the US congress. While its approval by the tribes is likely, its fate in congress is less predictable. Democratic senator Jon Tester has publicly stated that he will support it, but his republican counterpart Steve Daines and Republican Congressman Ryan Zinke have both refrained from stating a position either in support of or in opposition to the agreement. While Tribal Water compacts are fairly common (there are currently 17 in effect across the state), the Flathead Water Compact is unique, not because of the provisions it contains, but because of the scale and value of the water rights at question. Flathead Lake is one of the largest and cleanest sources of fresh water in the country, and additionally, the Flathead Indian reservation has among the highest property values of any Indian Reservation nationwide, meaning that more money and more special interests have been poured into both sides of this debate than any tribal water compact previously. The inflow of dark money as well as the vitriolic accusations of racisms on both sides have only served to muddy the waters of the debate further, making it difficult to discern who stands on which side and why. This post was composed by Outer Limits gumshoe Myron Gagarin. This entry was tagged Concerned Citizens of Western Montana, Confederated Salish and Kootenai Tribes, Dark Money, Flathead Joint Board of Control, Flathead Lake, Flathead Water Compact, Jerry Laskody, Kate Vandemoer, Rick Jore, Western Montana Water Rights Association, White Supremacists. Bookmark the permalink.